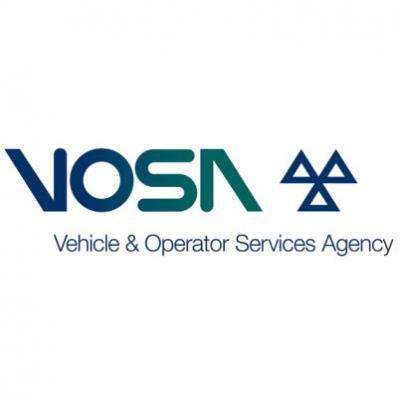 On the 1st April 2014, all responsibility from VOSA was passed over to the DVSA but previous to this the organisation had 2, 500 staff, 1,700 of which were based at lorry testing garages across Great Britain. When it operated alone, VOSA invented the regulation vehicle MOT test in Great Britain. Back in its day, VOSA had a fleet of Ford Galaxy vehicles in black and yellow with their markings clearly displaying VOSA on the back. They also had amber roof lights. Whilst VOSA doesn’t exist anymore, if you did need to get in touch with any of their services, contacting the DVSA will ensure that any of your queries are answered. Ultimate responsibilities of the DVSA today include, approving workers to be MOT testers, training people to become driving instructors as well as carrying out tests to ensure that lorries and buses are safe to drive. They also carry out roadside checks on drivers and any vehicle that they feel necessary. You can call the number above if you wish to contact the VOSA head office. Although VOSA now operates as the DVSA, anything you need to address in relation to VOSA will now be dealt with by a department at the DVSA. The Driver and Vehicle Standards Agency perform a number of operations, ultimately aimed at making the roads safer and they run a number of things that the head office will be able to help you with. If you want to train as a driving instructor, you can call the head office and discuss what options are available to you. The entire application process for becoming a driving instructor is available on the Government website so if you are having any difficulties with it, you can call the head office with any questions. If you are looking for a vehicle approval services, you can also call the head office to find out exactly what happens during this process. There are several cases where you yourself will have to apply for vehicle approval (it is usually done by the manufacturer) and full information about these instances can be given to you by the head office. To put it simply, you will need to apply for vehicle approval if you have; built a vehicle, re-built a vehicle, radically altered or reconstructed a classic vehicle or imported a vehicle. Although VOSA is technically closed, this number will take you through to the DVSA head office which now deals with everything VOSA related. Again, the driving and theory tests used to be organised and managed by VOSA but are now sorted by the DVSA. If you need any information regarding anything driving or theory test related then you can speak with an expert by calling this number. Your theory test must be completed before you go ahead and take your driving test, and to do this you will need a provisional licence. Whether you are learning to drive a car, a motorbike, bus or lorry you will need to take a driving theory test. The test is sat on a computer and consists of questions which will test your knowledge of road signs as well as ensuring that your general awareness of what is going on around you is up to scratch when you are driving. 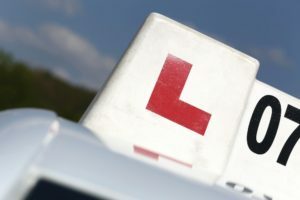 Once the theory test is completed and passed, you can then go ahead and book your driving test. The booking process of both tests is fairly straightforward and you are given a time frame during which time you can reschedule or cancel your test free of charge – which is handy if you are not feeling ready for your original date or even if you want to move it sooner. Early dates will become available when the DVSA has a cancellation so if you are looking to do your test as soon as possible, it is worth keeping an eye out. if you are having any trouble booking your test, or would like to know the next available dates without going online you can call the driving and the ory tests helpline at any time and see if there is anything you can book. Of course, the number is also available for general questions you might have about taking your theory or driving test and can also offer you help with the cancellation process should you need it. if you would like to know a little more about what to expect or want to do some practice questions for your theory test, a lot of useful information and questions can be found online. However, you can always call the helpline who can direct you to where is best to look. If you are planning on driving a taxi, tractor or specialist vehicle, your test will differ slightly from the normal tests. As a result of this, you will be given a different type of provisional licence, and it is important that you apply for the correct one. Some vehicles are exempt from both the driving and theory tests and these include mobility powered scooters, electric bikes or powered wheelchairs. Contrary to popular belief, you do need a licence to ride a quad bike on the road. Once your test is passed you will need to swap your provisional driving licence for a regular licence. This is usually done easily by handing your licence over to the examiner who took your test. You will then be sent a new licence in the post which will be pink (instead of green) in colour. Your driving licence needs to be changed if things like your place of address change or if you get married and take on a new name. The easiest way to do this is to get in touch by calling the driving licences helpline and they will explain the steps that you need to undertake when these things occur. If you have passed your test and are waiting longer than four weeks for your new licence to come through, please call the helpline as soon as possible as this will need to be chased up by a member of staff at the DVSA. There will be times when, although you have a driver’s licence, you will not be fit to drive. This usually occurs under medical circumstances and the DVSA will ask that you surrender your licence if a doctor deems you unfit to drive. Once you are fit, the licence will be returned to you at no extra cost. If you have a medical condition or have had a consultation with your doctor and they recommend that you don’t drive, you can call the driving licences phone number to discuss this further and be informed of what action to take next. If you have a lost or stolen driving licence that needs replacing then you can also call this helpline to find out what the best course of action is. Don’t forget that if your licence is stolen, you will also need to contact the police. Once you reach 70, you are required to renew your driving licence and you can call the number above for more information about how the renewal takes place and what you can expect from it. This was also previously dealt with by VOSA. If you have a serious problem with any part of your vehicle, you will need to have it repaired immediately as it could be a danger to yourself and others on the road. The vehicle will need to be replaced or repaired by its manufacturer if there are serious issues. This applies not just regular cars but also motorcycles, caravans and horse boxes, seat belts and harnesses, lorries, coaches, minibuses as well as the tyres on any of them. If you think that your vehicle could cause injury you can report a serious safety defect by calling the number shown above. It is important that the manufacturer is alerted to any faults with the vehicle which could potentially be occurring in other vehicles of the same make – they may need to recall the vehicle if it is not safe. If you are unsure of what should be classed as a ‘serious safety defect’ then look out for issues with the vehicle’s design that is likely to cause injury or death or anything worrying that happens suddenly with no or very little warning. If you are warned about a defect by warning lights in the car, this does not count as a serious safety defect and these can be picked up during routine servicing of your vehicle. If your vehicle has a fault due to you mis-using it eg. braking too suddenly or overloading it then this is not a safety defect but rather a damage to your vehicle. Please note that this will still need to be repaired as soon as possible in order to ensure your vehicle is safe to drive. If a vehicle that you own is being recalled you will receive a letter explaining why this is and how to proceed. Under a safety recall, you will not be required to pay for any repairs or faults. Please note that it is legally your responsibility to ensure that the vehicle you are operating is safe for the road, as well as any accessories it might have. If you have any further questions or are unsure about anything, do not hesitate to contact the vehicle recalls and faults number. The Driver Certificate of Professional Competence is a qualification that is required for all drivers who want to become bus or lorry drivers. It ensures that all those who drive for a living and transport the public have a high standard of driving. The first step is to get qualified in your chosen line of work. The driver CPC syllabus can be found online on the government website but if you do have any questions regarding it, this number is always available to help you out. To become a lorry or bus driver you must first already have a full car licence and be over the age of 18. The driver CPC is made up of four tests, all of which will need to be passed in order to gain your licence. To stay qualified, you will need to take 35 hours of periodic training every five years. You can call the helpline for more information about this and how to arrange it.